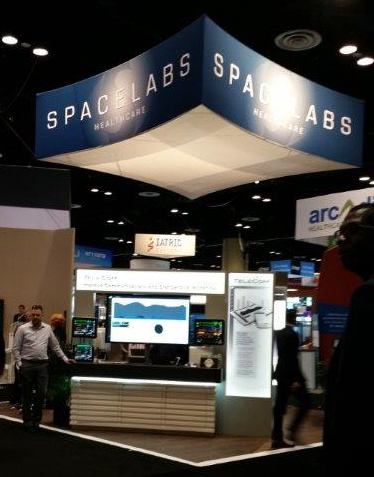 Join Spacelabs for an exciting week of education, innovation and collaboration at HIMSS19. Sponsored by the Healthcare Information and Management Systems Society, the HIMSS Global Conference represents one of healthcare information technology’s largest annual event, attracting more than 40,000 attendees. This year’s event is being held in Orlando, Florida. Come find us at Booth #5259. Take a patient-centric approach to alarm and data distribution—send monitoring data where you need it, and meet your interoperability goals. As a patient’s condition changes, alarm settings should be routinely evaluated by the entire care team, not just at the bedside. Cerner-certified XprezzNet allows Spacelabs monitoring products to integrate high resolution data such as vitals, waveforms and alerts within non-Spacelabs applications such as EMRs and third-party devices. Easily configure and manage connectivity between your monitors, EMR, and event notification systems. Automate the ADT process by using a barcode scanner to simultaneously admit patient to the monitor while discharging from any previous monitor. Bi-directional patient-to-device association simplifies workflows, reduces errors associated with manual data entry into bedside monitors during ADT, and saves clinician time. Support interoperability initiatives by accessing patient monitoring vitals, alerts, and waveforms from within the EMR. XprezzNet’s open architecture enables flexible integration with local hospital system and third-party solutions. Cerner Certified XprezzNet maximizes clinical and IT efficiencies by integrating patient monitoring data directly to CareAware iBus. No serial connection or additional connectivity at the device is required. Use XprezzNet to integrate your Spacelabs monitors with Spacelabs SafeNSound to enable additional alarm management, enhance telemetry device management, and reduce communication barriers between caregivers and telemetry technicians.